Have you guys heard of Petit Vour? Delivery boxes seem to be all the rage these days (um, because they’re RAD!) and I’ve gotten quite a few offers from quite a few companies asking me to sample their services. But the one that really caught my eye was Petit Vour, a little all-vegan company focused on bringing luxury makeup to conscientious, compassionate consumers. I love the concept, especially as someone who likes makeup but knows very little about it and doesn’t necessarily have the time to thoroughly research every brand, but honestly, what I love most is the price! At $15 per box, this is an absolute beauty bargain. And I appreciate that! Plus, the owner Madeline has an amazing eye for design. Everything about this company, from the website to the products to the box itself is aesthetically pleasing. It just makes you feel good! 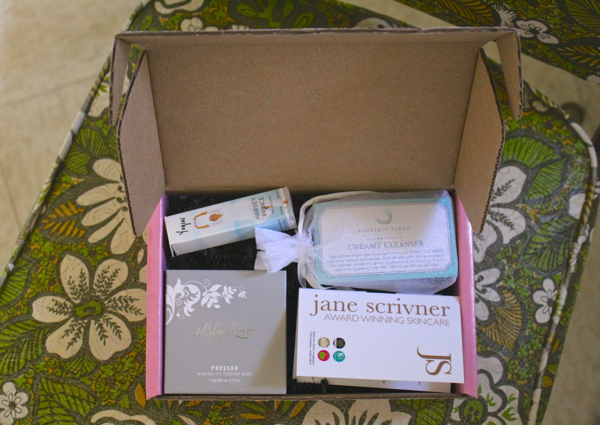 I don’t often get to feel like I’m being pampered, but getting this box totally did the trick. Inside the Petit Vour April beauty box. See my video at the top of this post for a full review! I loved feeling pampered by Petit Vour, and I want you guys to feel that way too! Which is why I’m teaming up with Petit Vour to give one of my lucky readers a box of their very own. Yay! So here’s how we do these things ’round here. I think “like-gating” / “fan-gating” is weird and insincere, and I’m not going to make you guys do it. That said, the truth is that social media stats are pretty important these days, in blogging as well as in business. So no, I’m not going to require you to “like” me all over the Internet just to enter this giveaway. But, if you do like my blog and enjoy the work I do here – and this goes for any blog really – then liking my Facebook page, or following me on Instagram or on Twitter is a great, easy way to help me out. Those numbers really do count for something. And that goes for Petit Vour as well. No, I won’t manipulate you into following them as a way to get more entries in this contest. But if you’d like to support an amazing, woman-owned, cruelty-free vegan company, a great way to show that support would be to like them on Facebook, or follow them on Instagram or on Twitter. So, if you want to enter to win the May makeup box, all you have to do is leave a comment here, on this post. Tell us where you’d wear your new makeup! This giveaway will end on Wednesday 21 May at midnight PST. 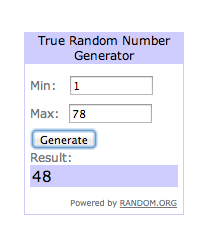 I’ll contact the winner the next day. Good luck guys! Congratulations Karoline! An awesome box full of luxury, cruelty-free beauty products is yours! Yay! I would wear it to work. I’ve been meaning to try vegan makeup since regular makeup and my skin don’t get along. I am going back to school after many years away and would love to look fresh! also, I think I will really need some pampering as well! I would wear this just to feel pampered. I appreciate the giveaway! I am returning to work soon and have realized that I have no makeup :-) This would be great!! I love subscription boxes as well. So nice to get something special in the mail. My husband has never seen me with makeup on and we’ve been together three years. I would wear it the next time we go out. Love discovering vegan beauty products – thanks for sharing. I’m running out of all my makeup that I wear for work so some fresh new products would be great! I need some new products, so I’d probably use my makeup to change up my daily routine. I would wear it on Summer Vacation, I get to see the Husband’s hometown! I would wear it anytime! Would love to try new products!! Ohsoamazing!!! I would likely wear it everywhere! I’d wear it to feel fancy at work and fancy on game day (roller derby). I would share it with my teenage daughter. I want her to learn that healthy is cool and beautiful. I’m a new mom (well, geez, I guess not so new now- she’s 10 months!) 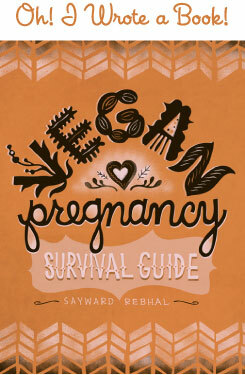 to a blossoming vegan baby. I need to step up my cute game. It’s time. I’m ready to feel cute again. So, I would wear this makeup digging in the dirt while in my garden, with my baby eating dirt to my left. And, I would feel cute. I SO love this idea, and that eye shadow is to die for! I’d wear mine on my upcoming date night with my husband! great idea! i’d wear it every day! I’d wear it for work or on date night! This box sounds perfect. I try to use natural products because they don’t break my skin out as much as their drugstore counter parts, but they can be very expensive and hard to find in stores around here. Must be serendipity, I was just watching a video on this same box the other day on youtube by A Vintage Vanity! I’d adore trying the products out as I have a genetic skin disease that is no fun, so a lot of my skin and face products tend to have to steer towards the natural, homemade, or high-end so as not to aggravate it. That being said, this stuff would be…daily wear for me!! My daughter graduates from high school tomorrow, so I would give it to her as a gift!! She has worked so hard and deserves some amazing, natural items to pamper herself. It’s actually pronounced more like puh-tee, but you still did a good job with it! I would wear my makeup on a normal day to run errands. I feel like I’ve been stuck in a beauty rut lately and that makes me not try as hard.